Happy Holidays from the Lewters! My family doesn't have many holiday traditions. And we don't live in a place that gets a lot of nice-packing snow each year. But, we put the ten inches we got in January to good use! 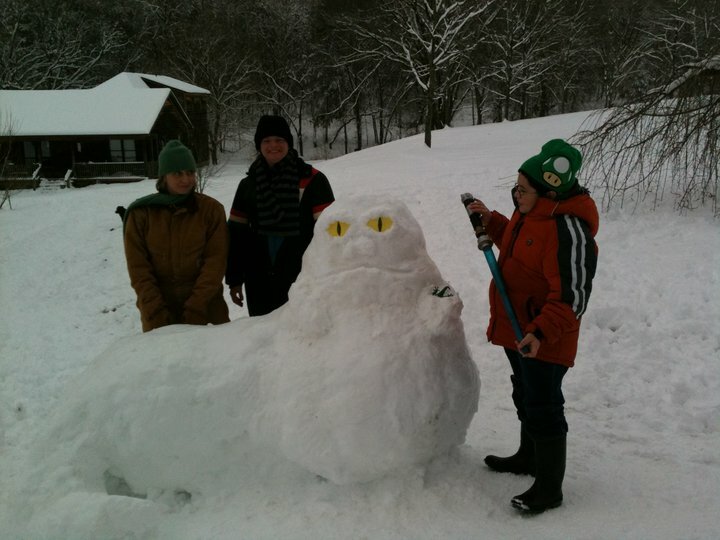 Anything related to Star Wars is generally well-received by my family, so it was only fitting that we had a Snow Jabba guarding the driveway entrance for a while. My sister and I contemplated which of us should don a metal (aluminum foil?) bikini and pose with the creature, although neither of us had the courage to do so.